ATCO Car Training and Maintenance Manual released in 1939. 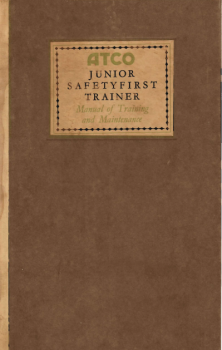 This book contains 60 pages of original instruction and maintenance for the ATCO Trainer Car. Also supplied with original promotional booklet. Due to item rarity, a high quality digital copy may be supplied.